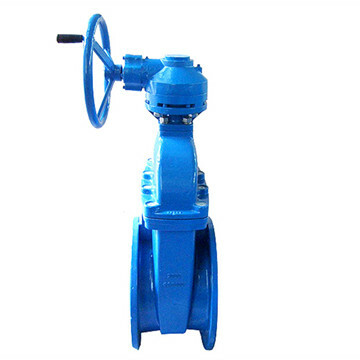 Soft seated gate valves, in ductile iron GGG40 with flat body and EPDM covered wedge, are suitable for drinking water applications, being coated with epoxy powder painting, not toxic. This kind of gate valves are inside screw, with non rising stem in AISI 420, wedge EPDM vulcanized and sliding rails on the body. 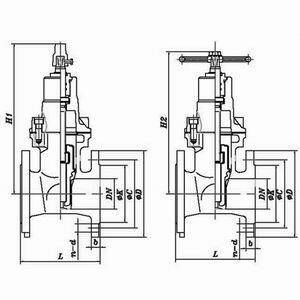 The soft seated gate valves are full bore, have no pressure drops, with the EPDM covered wedge that is not affected by corrosion and that doesn’t need any maintenance. In case of need, o-rings on the stem can be replaced with the valve in the pipeline and in complete open position. Soft seated gate valves in ductile iron can be installed above or under the ground level, or in chambers. Standard execution is by handwheel, we accept on demand T key, reducing gear or electric actuator with suitable outlet flange ISO 5210 F10/F14.